Apartmán – ne proto, že byste neměli na hotel, ale proto, že hotel pro Vás není dost dobrý! 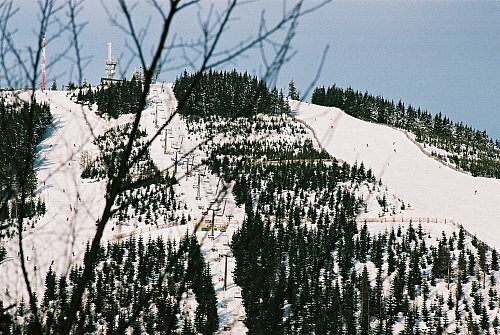 SPINDLERUV MLYN YOUR WAY !! because the hotel is just not good enough for you! Click on this picture to see the whole photo-gallery! 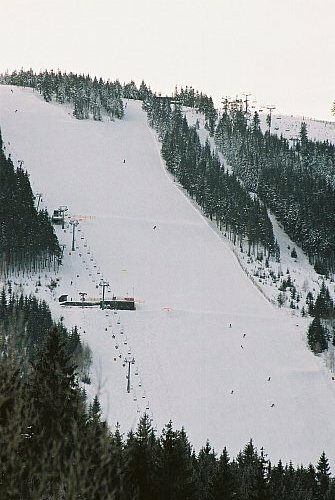 Once you have found out, that Spindleruv Mlyn is probably the best mountain resort within Czech republic, make the most out of it and enjoy the extraordinary comfort of the equipment and the location of our apartment! The Swedish royal family sleeps on luxury, hand crafted beds Hästens. And the guests of our apartment do as well! Our prices are in CZK, per day for the entire appartment, regardless the number of people staying. Therefore, your „price per person and night“ depends on the number of people. Please note: The prices listed in the price list apply for stays of 6 nights or longer. Shorter stays are subject to additional surcharge of 2000 CZK per stay. Our location (click here for interactive Map ) allows you to reach both skiing centers on your skies. No need to drive or walk. Apartment area 59.6 square meters. 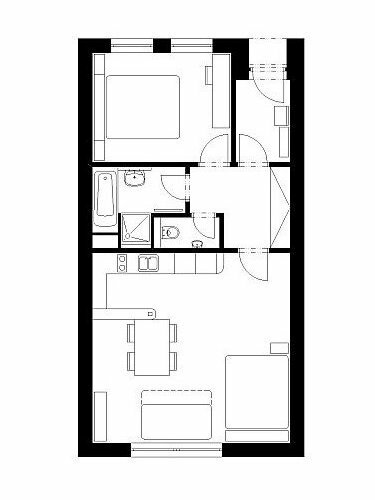 Click here to see the floor layout. Capacity – up to 6 people in two bedrooms. 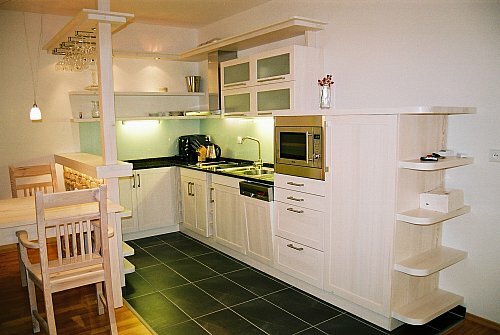 4 on luxury Swedish, hand made beds Hästens, + 2 on unfold able sofa. We reccomend occupancy by 4 people, for the maximum comfort. Furnished with custom-made massive wood furniture. Modern bathroom, with a spacious shower cabin and a bathtub, heated floor. Perfect view – the slopes of Svaty Petr and Medvedin will be luring you out, while you enjoy your breakfast, looking out of the window. Own parking spot in the garage, ski-room with heated boot-hangers. Holders of the status „Preferred guest“ don’t really need to read further down, as most of the rules are subject to individual agreement. 1. Reservations are done via e-mail or phone, subject to immediate payment of 50% deposit, within 7 calendar days. 3. Cancellation 31 or more days prior arrival date, subject to fee 10% of the price. 5. Cancellation 0 to 7 days prior arrival date, subject to fee 90% of the price, up to the equivalent of the price for the first 7 days. 6. Cancellation on the arrival date or later, subject to fee 100% of the price. 7. 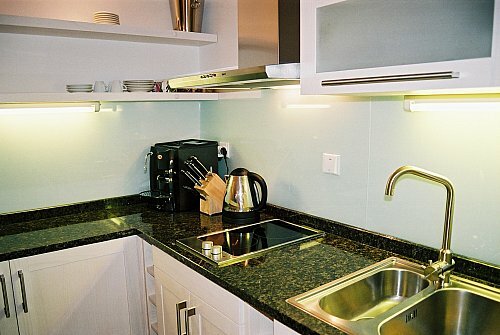 The guest is fully liable for any damage done on the appartment, the equipment, or the house. 8. 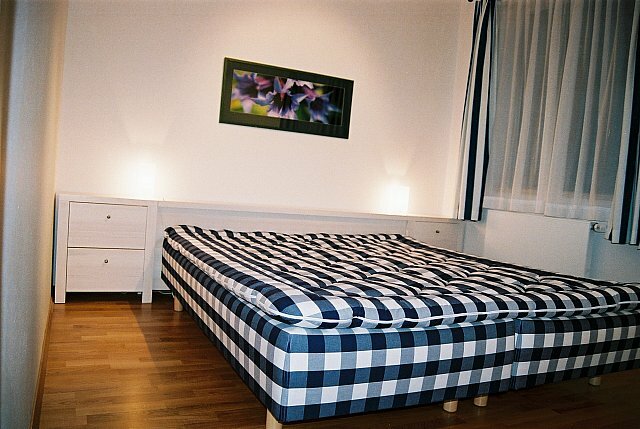 The guest must pay a liability deposit of 10 000 CZK (or EUR equivalent) in cash, to the house-keeper upon arrival. 9. The deposit will be returned to the guest upon departure, after handing the apartment, in the original condition, over to the house-keeper. 10. The owner may decide to withold any part of the deposit in case the guest has caused damage. The guest is liable up to the full amount of damage caused, unlimited, beyond the deposit. 11. The guest is not allowed to let any third party to use the appartment, unless registered with the owner. 12. The guest will recieve keys to the appartment upon arrival from the house-keeper, after performing a formal acceptance of the appartment. The guest is requested to immediately notify the owner, if any damage is discovered and describe the damage in written on the back-side of the Arrival Acceptance Form. 13. The guest will hand over the keys to the house-keeper upon departure. The house-keeper will perform a structured check of the appartment and will return the deposit based on result of the check. 14. NO PETS are allowed in the apartment! No exceptions to this rule! 15. NO SMOKING in the apartment. 16. Persons with any health conditon, representing hazard for health of the other guests or risk of causing damage to the equipment of the apartment, (such as serious infectious disease, serious mental disorder, or adiction to drugs) are not allowed to enter the apartment. Important notice: Breaking of these rules, as well as any other behaviour leading to violation of property rights of the owner or property rights of the other co-owners or users of the condominium, may become a reason for immediate termination of the stay.